The report details how MARTA’s proactive approach to the state of good repair enables the Authority to show how investments made in the system will enhance the region’s ability to offer more, and better service over time at less cost. It also found when it comes to prioritizing public transit assets for investment, replacement, or rehabilitation, MARTA typically invests first in the oldest assets. As state of good repair issues arise, MARTA’s policy is to initiate inspection, maintenance, and testing as to have no measurable adverse impact on the rider experience. During the discussion of the report’s findings, Parker detailed how MARTA is able to use its local funding source to maintain a state of good repair but expanding the system to meet the needs of a growing population will require federal funding and support. Flooding the zone with buses will not fix the problem. “Just expanding the number of bus hours, but in the wrong corridor, may not bring many people on board.” And the lack of counterfactuals in these types of analyses is always tricky. Some cities that have increased bus service, such as Baltimore, have still seen declines in ridership. The project features two real theater seats plopped down in the middle of the rotunda where MARTA patrons can take a load off and “use their smartphones to experience a free 360-degree scene from Theatrical Outfit’s current show, 110 in the Shade, running nearby on Luckie Street through June 24,” per theater officials. MARTA to invest $1M into DeKalb County bus shelters and stations. The transit system announced Friday it will invest $1 million for bus shelters and upgraded benches and train station bathrooms throughout the county. Any word on the funding source? By the look of it, I'm pretty sure they sold all the elevator and escalator equipment from the East Point station on the black market to pay for this. MARTA issues RFP for bus stop upgrades. 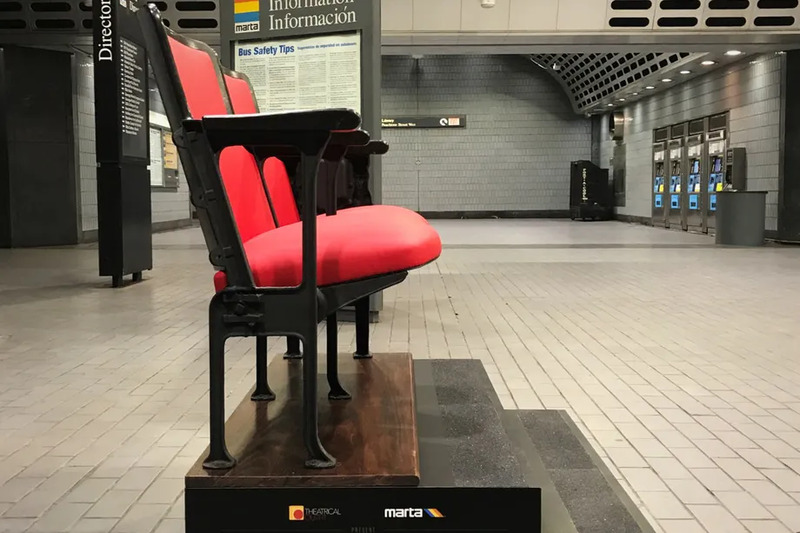 MARTA is seeking proposals from firms to buy and install amenities at up to 1,500 bus stops throughout MARTA’s service area over the next five years.